Could you live on $3.75 an hour? Would you be willing to demand that your boss pay you an additional $3.75 in tips to bring you to the state minimum wage of $7.50 an hour? What would you do if your boss didn’t make up the difference? Would you be willing to sue your employer? Could you even find an attorney who would take your case? These are all questions that tipped workers—primarily but not only restaurant workers—already may have to face on a daily basis in Maine. And if the minimum wage in Portland goes to $10.10 an hour and the minimum tipped workers make is not increased at the same time, the questions get that much tougher for tipped workers. Would you demand that your boss pay you $6.35 per hour more? I’ve spent a not inconsiderable amount of time these past few months working to get the minimum wage raised in Portland. I’ve met with City Councilors Hinck and Suslovic, attended several hearings that have lasted late into the evening, and carried signs calling for an increase in the minimum wage. I’ve listened to representatives of the hospitality industry—including Steve DiMillo and Michelle Corry, both of whom own restaurants I frequent (DiMillo’s, 555, Petite Jacqueline)—testify repeatedly that their servers make $30-40 an hour and don’t need a raise. And I’ve listened to the lobbyist from the Chamber of Commerce contend that the sky is falling and don’t kill the goose that laid the golden egg. Interestingly, there is one group that the Portland City Council really has not heard from—the workers who would be most affected by the raise in the minimum wage. Those would be the servers who work in our restaurants and diners—not just those who work in high end spots like those run by Michelle Corry, but also those who work in fast food franchises, in breakfast spots like BreaLu and (yes) Marcy’s, in the ethnic restaurants like Babylon and Seng Thai. I am curious. Would the servers at DiMillo’s and 555 really testify that they earn $30-40 shift? Or is that only on a summer night when the restaurant is packed with tourists? What about in the dead of winter? And what would the folks who work at Dunkin Donuts, at Mickey D’s, at Dennys’, and at Portland’s diners and family restaurants have to say? Are they making $7.50 an hour? Why haven’t these folks showed up to testify? Surely they must know that Portland is considering raising the minimum wage; the story has been all over the news for the last 18 months. Don’t they care? Are they afraid their employer would retaliate if they testified they weren’t really making the minimum wage? That they weren’t really making $30-40/hour? I don’t know the answers to most of these questions. But I do know that workers are hesitant to challenge their bosses, to stand up for their rights. Virtually the first question out of the mouth of every worker who contacts me is “If my boss finds out I contacted you, can he retaliate?” Usually my response is, “It is illegal to retaliate, but I can’t guarantee that it won’t happen.” For many workers, that’s the end of the conversation. And for those who still want to press forward, there is always the question whether it makes economic sense for me as a lawyer to accept their case. If someone hasn’t been paid at least $ 3.75 in tips on a given shift, how can she prove it? And if it happens every shift all the time, at most the worker is owed $7,500 (2,000 hours x 3.75/hour). But most restaurant workers don’t work 40 hours per week, so the number is going to be a lot less. That’s not a real attractive case to an attorney. According to the Bureau of Labor Statistics, the average tipped restaurant worker in Portland-South Portland-Biddeford earns $9.80 an hour. So if the average is just $9.80 and so many servers are making $30-40/hour, there must be a hell of a lot less making minimum wage! There is a way out of this. 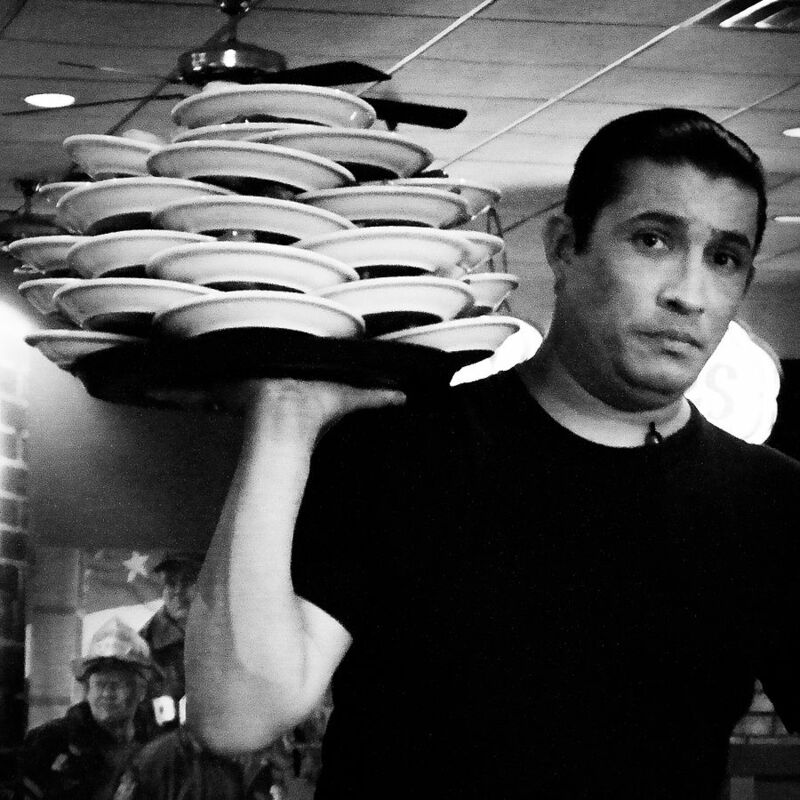 Eliminate the tipped worker exception altogether. Seven states (and the territory of Guam) currently require that tipped workers be paid the state minimum just like every other worker. A number of those states are among the fastest growing states in the country—California, Nevada, and Washington. Even in big sky country—Montana—the sky isn’t falling just because there is no tip credit. As Greg Kesich recently pointed out in a column in this paper, the entire concept of tipped workers is an anachronism. Let’s get rid of the tipped credit altogether, set a fair minimum wage for everyone, and include the cost of service in the price of a meal at a restaurant. Now that would be what I call Dirigo!